Born in the East Kazakhstan region in 1990. In 2012 he graduated from Karaganda State Technical University with a degree in 5В070600 “Geology and exploration of mineral deposits”. 2014 graduated from Karaganda Economic University of Kazpotrebsoyuz, specialty 050507 “Management”. 2014, he graduated from Karaganda State Technical University with a degree in Geology and Exploration of Mineral Deposits 6M070600. 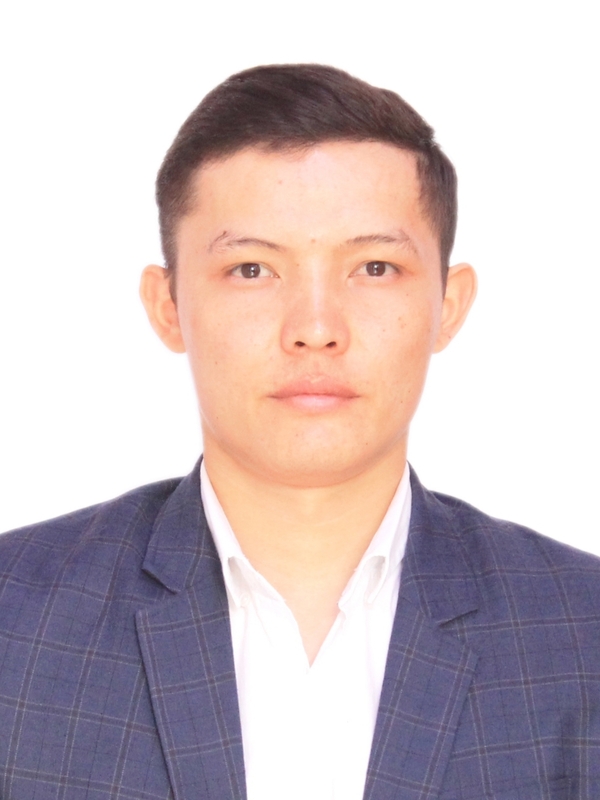 He graduated from Karaganda State Technical University in 2017 in the specialty 6D070600 “Geology and exploration of mineral deposits”. LLP “Centergeol”, Karaganda. Field geological survey practice at the Bozshakol and Zholymbet fields. Took part in geological surveying and prospecting. GeoLoginService LLP, Aktobe. Internship. Oil exploration, Kulbas section. Together with geologists, he took part in monitoring the well condition in order to study the geological profile, achieve high technical and economic indicators, as well as ensure compliance with environmental requirements. Diamond Split LLP, Karaganda. Filling the database. The AGR 2.0 program is a documentation system for exploration workings. Used in the collection and processing of primary geological information. LLP “KazakhmysExploration”. IN TO. Shemonayha p. Mine Artemyevsky. worked on geotechnical (geomechanical) maintenance of underground mining. JSC NGK “Kazgeology”, Astana. Geological support. Cumene site (area of ​​the city of Zhezkazgan). In 2017, he defended a PhD thesis on the topic “Geodynamic and metallogenic patterns of development of copper-porphyry mineralization of Central Kazakhstan from the perspective of modern isotope geology”. In February 2018, by the decision of the Committee for Control in the Field of Education and Science of the Ministry of Education and Science of the Republic of Kazakhstan, he was awarded the degree of Ph.D. in the specialty 6D070600 – “Geology and exploration of mineral deposits”. He has more than 30 scientific publications and 1 textbook. Currently he is the curator of the group GPR-17-1, senior curator of the department and deputy dean of the Faculty of Mining for educational work.